As I said before I have a thing for all things pink, especially fuchsia and raspberry. Although I have never been into purple. This has of course changed recently. Im becoming obsessed with the cool new colour and it’s easy to see why. Not only are the shops packed with all different shades, but also the magazines promote it a lot and many fashionistas wearing it. It is THE colour of the moment and it’s hard to resist. I don’t like wearing much colour in winter, as it just doesn’t seem to fit. 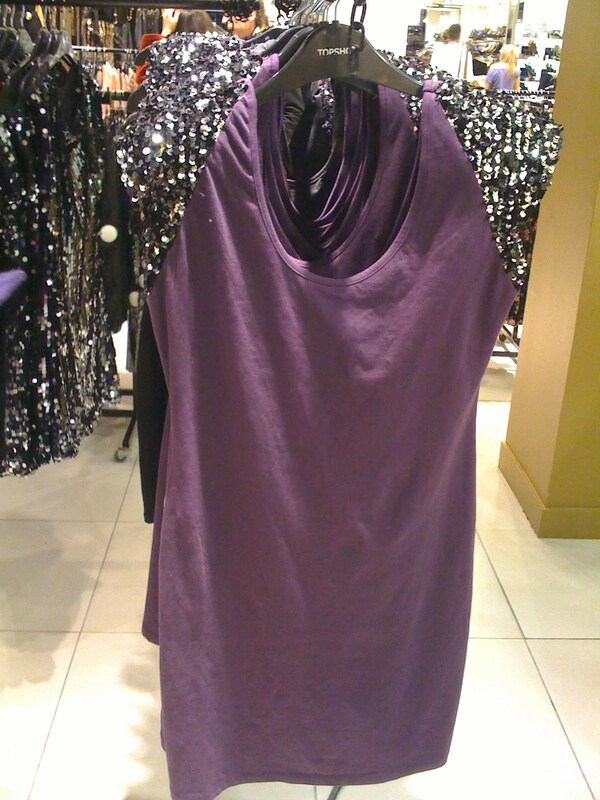 But purple is a great solution for brightening up your palette of black, grey and navy. It’s suble, but can look really cool. Plus there are so many shades out there, I guarantee you will find to suit you. You can do the easy route and just pick a scarf or a hat, or layer up a top or cardie with formentioned colours. I decided to show here, to do it full on. 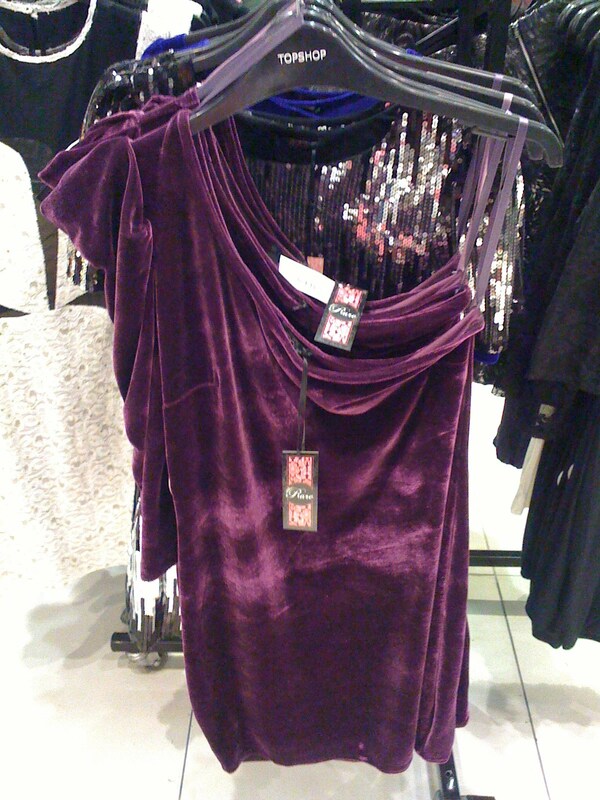 I found these two great dresses today browsing in Topshop on Oxford street. Both dresses have interesting shoulders which another trend I love. One shouldered dress is a timeless classic. It’s very flattering to any shape and looks more expensive. With the second dress I love the sequin detail. Its very now, following the 80’s trend. Both look amazing and can be dressed down for the day or dressed up for the evening. Just add opaque tights some killer ankle boots and you’re ready to go. Next Post Having winter blues?